The United Kingdom has one of the most pro-shale administrations in Europe: only Poland rivals it. Since 2012, it has taken a number of steps not only to reduce the administrative burden on companies seeking to exploit shale gas in the UK, but also to provide fiscal incentives for them to do so. It has established a cross-departmental government entity, the Office of Unconventional Gas and Oil, to coordinate government action and policy. The government notes on its official website that it believes shale gas has the potential to provide the UK with greater energy security, growth and jobs. Estimated amount of shale gas that can be produced : 22300 to 64600 billion of m3. For the time being it’s unsure whether fracking will be done for production : Scotland recently voted a fracking moratorium as did Wales, in England proposed new environmental regulations are going to make fracking almost impossible (far too complicated) on 40% of ‘blocks’ (= areas) destined to fracking. Truth is, these measures aren’t all voted yet in Parliament, and with elections scheduled coming in May in England, the future there is uncertain. Estimation de production possible : 22300 à 64600 milliards de m3. * En Angleterre, alors que le parlement rejette un moratoire sur la fracturation, on assiste à une première reculade du gouvernement qui interdit la fracturation dans les parcs nationaux ce qui représente une interdiction sur environ 40% des zones de gisement de schiste. * L’Ecosse, (lire ici) de son côté, annonce un moratoire sur la fracturation hydraulique. 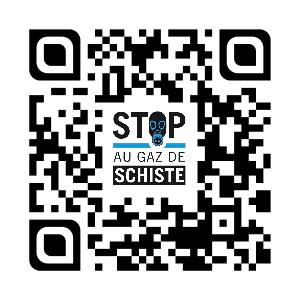 Le Parlement écossais organisera une consultation publique et une enquête sur les conséquences de l’extraction de gaz de schiste par fracturation hydraulique sur la santé publique avant d’en autoriser l’exploration. * Au Pays de Galles le parlement a voté le 4 février 2015 l’interdiction de la fracturation hydraulique. Northern Ireland: 7 December 2011: Northern Ireland’s Assembly has voted for a moratorium on “fracking”, a method of extracting natural gas from shale, pending an environmental assessment. The Minster has still failed to enact the moratorium. De plus, le Royaume-Uni est le cobaye mondial pour la gazéification souterraine du charbon, une technique qui consiste a mettre le feu au charbon souterrain pour produire du gaz synthétique. 27 licences ont été accordées à côté de grandes villes du Royaume-Uni sur des veines contenant plusieurs milliards de tonnes de charbon.